Volume XIII tells the story of Winston Churchill before the outbreak of World War II: a man out of office and out of favor with the government, building up an incredible array of personal contacts, who enabled him to collect much secret information about the events of the day. Churchill’s letters to his wife, published here in full, provide a fascinating insight into Churchill’s struggles, hopes, and fears. 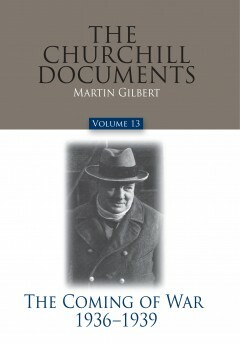 Included in this volume are Churchill’s detailed notes on the abdication crisis and his assessment of the relationship between the King and Mrs. Simpson; many personal details of life at Chartwell; Churchill’s financial problems; and his son Randolph’s stormy outbursts and their affectionate reconciliations. 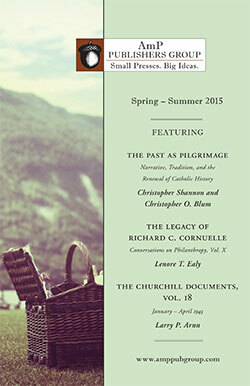 This volume reveals Churchill’s contracts with members of British Intelligence, serving Air Force, Army, and Naval officers, and senior government officials; his sources about Nazi Germany from inside the British Foreign Office; and his close links with leading political figures in France during the years when the Nazi menace grew and Hitler’s remilitarization of the Rhineland laid the fuse for war. This volume shows how and why many individuals, from both the government and opposition in Britain, turned to Churchill for help and guidance during the Austrian and Czech crisis of 1938 and the Polish crisis of 1939. Through these documents, Martin Gilbert presents a portrait in-the-round of Churchill, revealing many unexpected facets of his character as well as a vivid picture of British politics and international affairs during the four years leading up to the outbreak of war in September 1939.